You must be feeling pretty good with your championship position and the performance of the car this season? Well, weâ€™re not in first place so we canâ€™t be too happy. For sure itâ€™s not a nightmare, but weâ€™ve still got a lot of races yet to come and anything can happen in Formula 1. Monacoâ€™s a different challenge, so weâ€™ll have to see what happens there this year. Last yearâ€™s Monaco Grand Prix was not one of the teamâ€™s better outings, so youâ€™ll be hoping for better this year? We certainly wonâ€™t make the mistakes we made last time. There were a few things we didnâ€™t do right over the weekend and we suffered because of that. Sometimes thatâ€™s the way it goes, but the important thing is not to make the same mistakes again. How do you define the Monaco Grand Prix? Itâ€™s useless to put races in different categories, because all of them are as important as each other if you want to win a Championship. However, as a real special race there is nothing like Monaco; there is no better feeling than to get things going well there. To race in the streets of Monte Carlo is really different from everywhere else and itâ€™s a challenge I look forward to every year. It is very, very difficult â€“ almost impossible in fact â€“ to have a clean weekend down there. You won in Monaco in 2005; how did that feel? Iâ€™ve only managed to get it right once before and you really experience the greatest feeling you can get by winning it. My win in 2005 ranks up there with my most memorable, so to win it again would be just as special. Whatâ€™s the challenge behind the wheel? Itâ€™s such a narrow, twisty track; you have to be extra sharp and focused through every single metre. It gives such a good feeling; a fast lap around Monaco. Overtaking is almost impossible, so to really enjoy racing there you have to be in the front. Monaco is always special. Itâ€™s an interesting place to go to, with a lot of fans and a lot of parties going on; or so Iâ€™m told. Itâ€™s a completely different atmosphere from anywhere else. Whatâ€™s your approach to the weekend? We have to focus on qualifying. Itâ€™s a difficult place to race as itâ€™s so narrow and â€“ as I said before â€“ passing is nearly impossible. I was stuck behind Rubens [Barrichello] in 2009 and we had KERS then, but you just couldnâ€™t get past. Weâ€™ll have to see how the tyres perform and if there are any good strategies to be made, but the most important thing is to qualify well. Itâ€™s difficult to know how good the car will be in Monaco as you canâ€™t simulate its characteristics; certainly not at any of the circuits weâ€™ve visited so far this year anyway. We can say the E21â€™s been fast everywhere else so letâ€™s hope itâ€™s also fast there. With qualifying so important, is it a worry that this doesnâ€™t seem to be one of the E21â€™s strongest areas? Weâ€™ll do the best we can, but of course everyone will be trying to be on the front row. Itâ€™s not impossible for us, but we wonâ€™t know how good we are until we get there. We know that tyre changes have to be made so there are opportunities if you run a different strategy to your rivals, but itâ€™s certainly more difficult here than anywhere else. How frustrating was the Spanish Grand Prix? I canâ€™t lie and say I wasnâ€™t frustrated! As a driver you want to race every lap possible, especially when youâ€™ve got a good car. That said, at least with a technical problem like we experienced itâ€™s easier to move on as it was immediately obvious that it was a component failure rather than being caused by a mistake, contact or driving off the track. In the race itself, I didnâ€™t make the best start but after that I was on the pace and we know weâ€™re able to have strong race strategies, so there was potential for a good result. The car was feeling pretty good until the issue with the rear suspension. When did you feel there was something wrong? It was a sudden sensation that something was wrong, and it was clear straight away that we wouldnâ€™t be able to continue in the race. I returned to the pits and that was the end. What do you do after a short race like this? Get out of the car, speak with your engineers to confirm if thereâ€™s anything more which can be done, then you join the crew to watch the rest of the race. Sometimes you can give some extra information to the engineers on the pit wall which might assist them. After the chequered flag you have a quick debrief as you would after a race where youâ€™ve completed all the laps, though if there are only eight laps to talk about it doesnâ€™t take too long. The full post-race analysis takes place with the engineers afterwards, back at Enstone. Itâ€™s going to be fantastic to be racing there again. Itâ€™s like a home race to me and itâ€™s a circuit I really love. We were quick there last year so I hope weâ€™re quick again. Itâ€™s a crazy week with all the focus and attention, but everyone loves Monaco. Iâ€™ve got a week to get some rest before it all starts. I canâ€™t wait. What is so special about Monaco? Monaco is a very special event in its own right, and the atmosphere is quite crazy! As a driver you have to stay calm and relaxed and try to do your job. It is a track that doesnâ€™t allow any mistakes. You have to respect it and that is the key there. For me itâ€™s fantastic for there to be so many French fans, and Iâ€™m looking forward to their support. Itâ€™s a very particular and distinct track; how do you think the E21 will perform there? Well this is what we will discover. Monaco is quite a specialist track and it is very difficult to say if a car will be suited to it or not. Itâ€™s bumpy on the straights and itâ€™s a very low grip surface. All these things mean that you never know what to expect. On a more normal racetrack you know more what you are going to get. I hope we will have a pleasant surprise and that the car will suit Monacoâ€™s unique challenges. That would be nice. What do you want to achieve in the sixth race of the season? I have to be honest and say I want to be on the podium again. I experienced it for the first time last season, and it felt just as good this year too. A podium result in Monaco would be amazing. Thereâ€™s been a lot of talk about tyres and now itâ€™s been announced that there are changes to come; how does this sit with the team? There arenâ€™t many sports where there are such fundamental changes to an essential ingredient part-way through a season. Just imagine for a moment that, because a football team canâ€™t run as fast as its opponent, the dimensions of the pitch are changed at half time! That there are changes to come can be seen as somewhat frustrating, and I hope they are not too extreme. Itâ€™s clear that Pirelli have found themselves in a difficult situation and under pressure from different quarters. Last year, when we were designing our 2013 car, each team received information from Pirelli and everyone did the best job they could to develop a chassis which would make best use of the tyre characteristics. We even ran with some experimental 2013 tyres at the end of last season, to assist us in confirming our development paths. As with every season, some teams do a better job than others with their designs, and some drivers are more adaptable than others to the changes of both car and tyre. It is frustrating when youâ€™ve developed a car from a set of tyre specifications which are available to everyone â€“ for tyres that are the same for everyone â€“ to then be told that they are being changed mid-season. That said, we have a team of talented designers and engineers who will be working twice as hard to ensure we adapt to these changes in the most competitive manner. Last year the team celebrated its 500th Grand Prix in Monaco; how would you rate the first races of the second 500? Since Monaco last year weâ€™ve had twelve podium finishes including two wins â€“ in Abu Dhabi last year and Australia this season â€“ so weâ€™ve been doing a pretty good job. Like everyone in motor racing, weâ€™re not entirely satisfied unless weâ€™re winning races and leading championships, so those are certainly what weâ€™re pushing for. It was a short race for Romain in Barcelona; how do you ensure a failure like this doesnâ€™t happen again? It was frustrating for Romain and frustrating for the whole team. A Formula 1 car is made of so many components, and despite all the checks every once in a while a failure happens. Our technical team has taken immediate action, identified where the problem was and redesigned a new part for Monaco onwards. 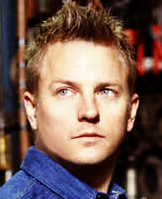 For Kimi it was pretty much a perfect race again? Itâ€™s clear that Kimi is driving very well at the moment and our car is capable of consistently delivering strong performance. There are some clear areas where we want to improve, with the car and with the team, but we have had a very strong baseline when weâ€™ve visited every track so far this season; weâ€™re hopeful of the same in Monaco. How has the team reacted to the changes to the technical department? We have a very strong technical department made of many people. Itâ€™s an illustration of the strength of talent at Enstone that we were able to promote from within, and Nick Chester has been working on adopting his new role for some time now. We have plenty of upgrades to come for the E21, as well as the additional challenge of reacting to the forthcoming tyre changes. Weâ€™re confident we can maintain performance and development with this yearâ€™s car whilst at the same time developing an exciting car for 2014 and the new regulations. Whatâ€™s the teamâ€™s outlook right now? Itâ€™s good that weâ€™re consistent, but weâ€™re greedy and want more wins. We are hungry for more points and we want to keep being in the battle at every race. Are there any goodies in the Monaco upgrade bag? Similar to Barcelona, we will be bringing a new rear wing which follows the same concept as the one we ran in Monaco last year. There will also be a new front wing and some modifications to the floor, so plenty to keep us occupied. Weâ€™re confident in the upgrade package for this race and the car has worked well at every circuit so far this season, so thereâ€™s no reason it wonâ€™t be strong here. Qualifying is a key element to a good weekend in Monaco; where do we stand? Itâ€™s no secret that this is an area weâ€™ve been looking to improve and we havenâ€™t done a bad job in this regard. We took a front row slot in China and â€“ disregarding Mercedes â€“ we were less than a tenth from the front runner in Spain. I wouldnâ€™t go as far as to say our qualifying pace is perfect as itâ€™s clear there are still gains to be made, but weâ€™ve certainly made significant inroads into understanding how to get the most out of the tyres over a single lap, in addition to balancing setup for both qualifying and race pace. How have the changes made to the sport in recent years altered the dynamic of racing in Monaco? A few years back I can honestly say we would head to Monte Carlo without even considering race performance. The entire weekend was focused on qualifying, with practice spent seeking nothing but ultimate pace on the minimum amount of fuel possible to complete a run. That isnâ€™t quite the case anymore, and this weekend will require a fair amount of assessment work with both tyre compounds. We ran the super soft compound in qualifying and briefly at the start of the race in Australia, with the same true of the soft in China, so our knowledge of their behaviour thus far is relatively limited. In recent years Monaco has generally proved to be a one stop race, so weâ€™ll need to ascertain what each compound is capable of ready for the race on Sunday. Given the nature of Monaco, what are the race strategy considerations? At pretty much any other circuit where degradation is a factor, to a certain extent you can stop whenever you like, come out behind slower cars and overtake using DRS and so on. This simply isnâ€™t the case in Monaco. If you pit very early and come out behind the back markers, youâ€™re likely to be stuck there for lap upon lap; losing a vast amount of time in the process. Assuming a one stop race is a possibility, you need to calculate how early you can feasibly complete that stop without emerging in traffic, which is a fairly unique strategic challenge. Track evolution is another frequently discussed factor in Monaco; how difficult is that to judge? Iâ€™d go as far as to say itâ€™s impossible to test any setup changes in Monaco. Itâ€™s difficult enough at a normal circuit with stable conditions where you can test different things back-to-back and get a good understanding of performance, but here that simply isnâ€™t feasible and we have to approach the weekend with that in mind. There is far more value in ensuring the driver is comfortable and confident with the car than in aiming for the perfect aerodynamic or mechanical setup. Enabling the driver to get into a nice rhythm is essential, and youâ€™ll often see runs of ten to fifteen laps during practice aimed at achieving just that. If the driver can put together five laps in clear air to get himself fully into the groove, thatâ€™s when you see the lap times start to come down and thatâ€™s what makes for a good performance. Pirelli has announced changes to the structure of its tyres; how will this affect the team? Weâ€™ve always maintained that we were perfectly happy with this yearâ€™s tyres as they were. If you look back at the past couple of years since the start of the Pirelli era, the opening five races have historically featured higher levels of degradation than those seen during the rest of the season; with the exception perhaps of Suzuka. With that in mind, any alterations to the tyres should certainly be viewed with a degree of caution, as there is a real possibility that we could end up returning to one stop races; something that frequently occurred towards the end of 2012 as harder allocations were introduced. Thatâ€™s surely something that nobody wants to see. Of course, itâ€™s understandable that a repeat of the four stop scenario in Barcelona is not desirable, but along with Bahrain this represented perhaps the toughest challenge of the year. As we encounter circuits with lower demands on the rubber, and as teams start to get on top of this yearâ€™s compounds, Iâ€™m certain that we would have naturally seen fewer stops anyway. Turn 1: The first corner â€“ Sainte Devote â€“ is very tight and has been the scene of many incidents over the years. The drivers need to keep their wits about them to avoid any drama. Turns 4 + 5: The bumpy track between turns four and five [Casino / Mirabeau] requires drivers to modify their line to avoid unduly unsettling their car. Turn 6: As the slowest corner on the circuit â€“ and indeed the entire season â€“ suspension and steering modifications must be made to the car just to make it through this turn. Turn 9: Taken flat out, the tunnel is the fastest part of the track. The contrast of natural, artificial, then natural light is a big challenge for the drivers. Track temperature is also different from the rest of the circuit. Turn 10: Exiting the tunnel into the chicane is the scene of many out-braking manoeuvres. This is a real opportunity to pressurise the car ahead, but also a place where mistakes are often seen. Turn 14: The Swimming Pool â€“ â€˜La Piscineâ€™ â€“ is entered very quickly, before hard braking for turn fifteen. Turn 18: Turn eighteen â€“ La Rascasse â€“ is the second slowest part of the circuit, with the cars running very close to the inside wall. Start / Finish Straight: With so few overtaking opportunities around the lap, a good exit from the final corner â€“ Anthony Noghes â€“ is essential leading on to the start finish / straight. There are high traction demands here. Front Wing: Front downforce is key. Teams tend to run maximum front wing with more balance to the front thanks to the understeer inducing characteristics of the circuit. Rear Wing: We will have a Monaco-specific â€˜bigâ€™ rear wing to gain more downforce at the lower overall speeds seen here. Suspension: Monaco has the greatest undulations relative to any circuit on the calendar meaning a soft car is required; allowing the tyres to retain contact with the tarmac as much as possible. This means softer roll bars and springs; the aim being to maximise mechanical grip without losing too much aerodynamic grip. Brakes: Brakes are not a big concern. The low speed layout means drivers are not braking as significantly as they would from a long straight into a first gear corner, and itâ€™s also a shorter race than most so wear is not an issue. Monitoring temperatures is essential as there arenâ€™t any real high speed sections to cool the brakes, and the relentless stop / start nature can compound heat generation. The brake calipers tend to run hotter in Monaco than any other track, so more attention is paid to them than normal. Tyres: This race will see Pirelliâ€™s red marked supersoft tyre appear for just the second time this season â€“ Australia being the first â€“ alongside the soft compound. Tyre wear is very low here due to the smooth track surface and low speed layout. Engine: An engine with very good response is essential, with drivability rather than ultimate power being the goal. Youâ€™ll never go slower with more power, but itâ€™s the least power sensitive circuit of the year. The engine spends a relatively short amount of time at full throttle so the challenge is to deliver torque through the lower rev limits of the engine. With Monaco being such a bumpy street track, the engine also needs a good limiter setting so it is capable of digesting all the bumps. Finally, fuel consumption needs to be calculated very accurately, as the track gets quicker and quicker over the weekend. The opening European round of the season has always been one of the more popular events on the calendar, with media and fans across the continent flocking in their thousands to catch a glimpse of Formula 1 up close. It therefore came as little surprise to see engagement levels on our social media feeds receiving a rather healthy boost throughout the Spanish Grand Prix weekend. Kicking off with Twitter, the usual blend of live session updates and behind-the-scenes coverage from a variety of off-track events kept fans in the loop with Kimi and Romainâ€™s every move throughout the weekend; supplemented by the appearance of the ever-popular â€˜Mini Kimiâ€™ during the champagne celebrations on Sunday afternoon. Google+ meanwhile adopted a fresh approach to keeping fans informed on the weekendâ€™s events; a solitary post to end each day â€“ utilising beautifully edited shots from the teamâ€™s in-house photography expert â€“ giving a brief overview of the dayâ€™s action in addition to links directing viewers to the latest session reports, driver Q&Aâ€™s and more. Last, but certainly by no means least, Pinterest and Instagram brought life in the Barcelona paddock â€“ and indeed beyond â€“ to the masses, with a host of stunning shots from the weekend combining to give fans a true taste of what it means to be on the road with the team. When the May 9th 2013 edition of Autosport magazine landed in reception here at Enstone, the usual crowd of team members swooped through to grab a copy for a bit of lunch time reading. This time around however, the buzz around the factory was of a quiet pride in the content which lay before them. Aside from featuring on the cover page for the second time this season, the publication includes a fantastic six-page special on the Enstone facility and those who dwell within. From interviews with long standing team members to a summary of our heritage, an assessment of our 2013 prospects and a genuine insight into just what makes this such a unique and popular environment; itâ€™s all there. Thursday in Barcelona saw Lotus F1 Team Official Partner burn introduce an exciting new event to the Formula 1 road show by the name of â€˜Burn Yard Liveâ€™. The event â€“ the first in a series â€“ took place at the Astilleros shipyards on the shores of Barcelonaâ€™s Mediterranean coast; bringing together a collective of leading innovators from the worlds of art, music and sport to create a groundbreaking fusion of youth culture. Those with a keen eye for detail may have spotted a new name featured on the nose of the E21 last time out in Barcelona, as internationally renowned watchmaker Richard Mille became the latest partner to join the Lotus F1 Team portfolio. That is one aspect about Monaco that I quite like. It gives everyone a lot of time to speculate on Friday. Mercedes could properly do well in this race and maybe Red Bull as well. I think Rosberg could do really well. But some other drivers will wear new designs. Will Kimi wear that James Hunt helmet? Grosjean's helmet looks good the rest is just meh.